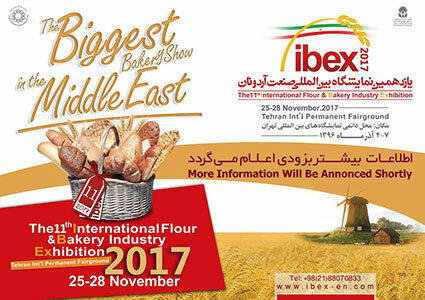 We were just from the beginning at the most important Exhibition Worldwide: IBA in Germany, EUROPAIN in Paris / France, IBIE in Las Vegas / USA, HOFEX in Singapore / Hong Kong, GULFOOD in Dubai, MEXIPAN in Mexico City, FISPAO in Sao Paolo / Brazil , etc.. In this 2015 we will exhibit at IBA 2015, in Munich / Germany from the 12th till the 17st September . We will be at GULFOOD MANUFACTURING 2016, November 7th-9th 2016, Dubai. We will Exhibit at “IBIE, Las Vegas 2016″. We will Exhibit at GULFOOD MANUFACTURING 2015, 27-29 Ottobre 2015, Dubai World Trade. We will Exhibit at “IBA, Munich 2015″. We will Exhibit at INTERSICOP 2015, 13-16 April 2015, Madrid , Spagna.